So a couple of years ago I made a 101 in 1001 list. I managed to accomplish quite a few things on the list but not all of them. So now that the time has passed it’s time to make another one and see how I do this time! Take Liam to meet Aunt Esther, she’s 106! 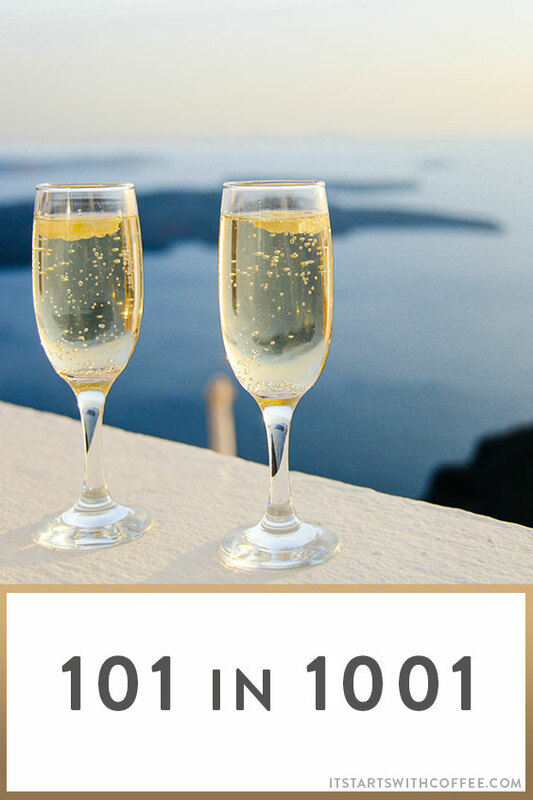 Have you made a 101 in 1001 list? If so share it below! This is a really good idea! I might do a shortened version of this – maybe half the amount, but it’s a great way to set goals! I’m almost halfway through my first 101 in 1001 list and I definitely plan to continue doing them every 3 or so years. Your goals are so specific and well thought out, plus they seem super achievable. Good luck! Wow! Your list is extensive! Motivating me! Love this list. You’re inspired me to make my own. It’s so important to write down personal goals on all different levels! Good list! I am such a list maker and then pile more things on top of the already made lists. I love how you organized your lists by categories too. This is such a great idea. I have never done this, but I am going to make my list this weekend. Whoo – these are all awesome goals. I just turned 27 in May so I’m thinking of doing a 30 by 30 list, so I have about three years to get that finished! Such a great idea to make a list like this! I think it’s super important to write out your goals! Thanks for sharing yours! Have a great weekend. How fun! I like this idea so much more than a traditional bucket list. Such a great idea!! But no, I haven’t made a list… I think I’m better at just winging it and doing spontaneous things haha! I think my list would just change every day! But some of the things on yours look really cool, and I wish you all the best in completing it:) thanks for sharing! That is quite a list of things to do over the next few years! I can barely get through my list of household chores each week! This is such a great idea! I really need to create a list like this! I love to work on checking things off a list so this would be so much fun! This is such a fun idea! My travel list is so long right now. Guess we need to start tackling it! Oh I do love lists!!! I have like 10 different ones going on my phone app at any given time that range from stuff to do, stuff to buy, and places to visit. I never made a huge one like this before though. I just might have to do it. What a fun list!!! I need to make one for my 40th birthday. I have a couple years at least to get it done! Can’t wait to see you check things off! I did this a few years ago and checked off many things from that list. I should really try it again! Great list! I might look into doing a list like this! I’m inspired by this list girlfriend!